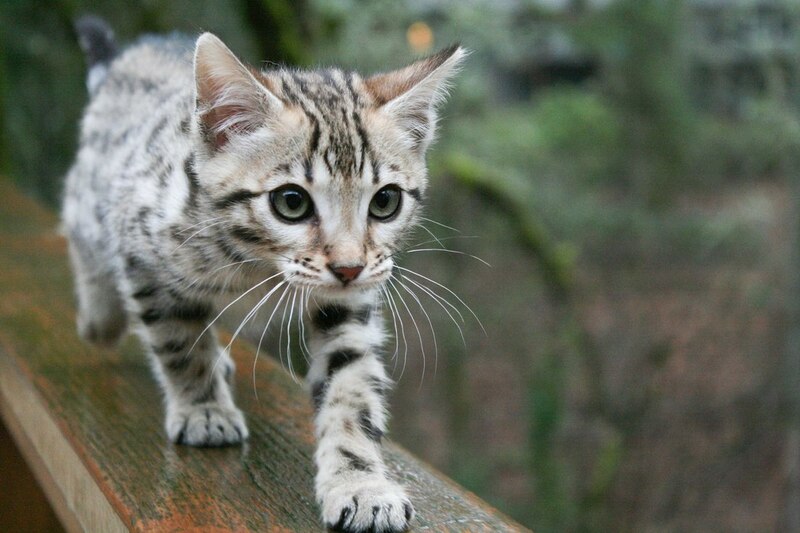 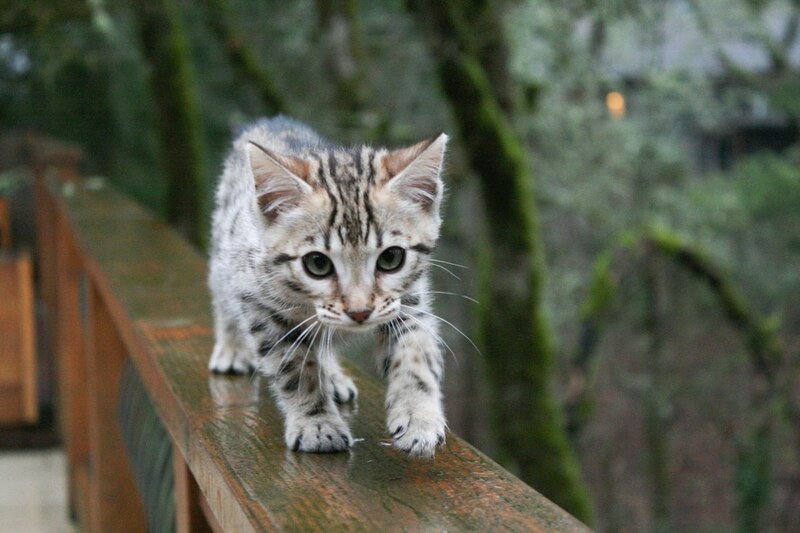 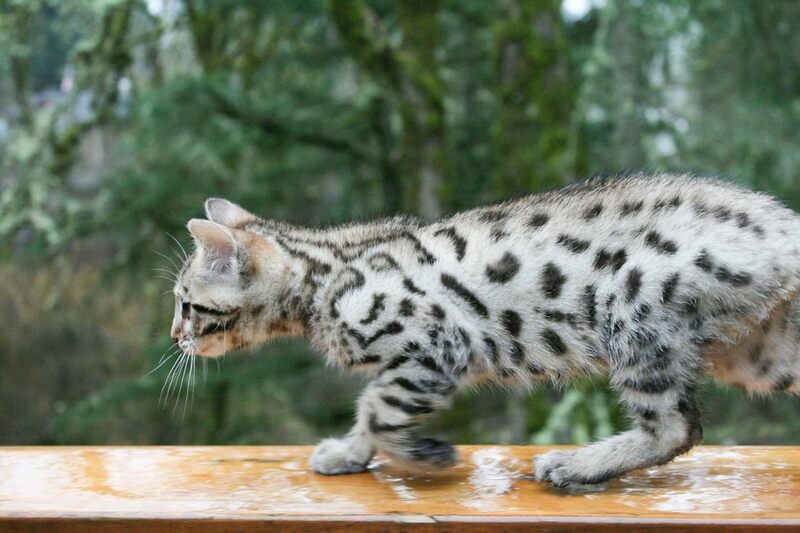 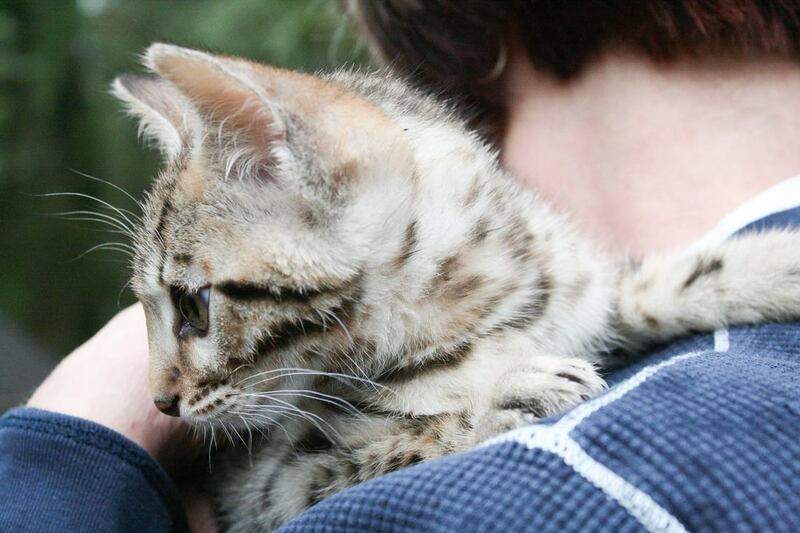 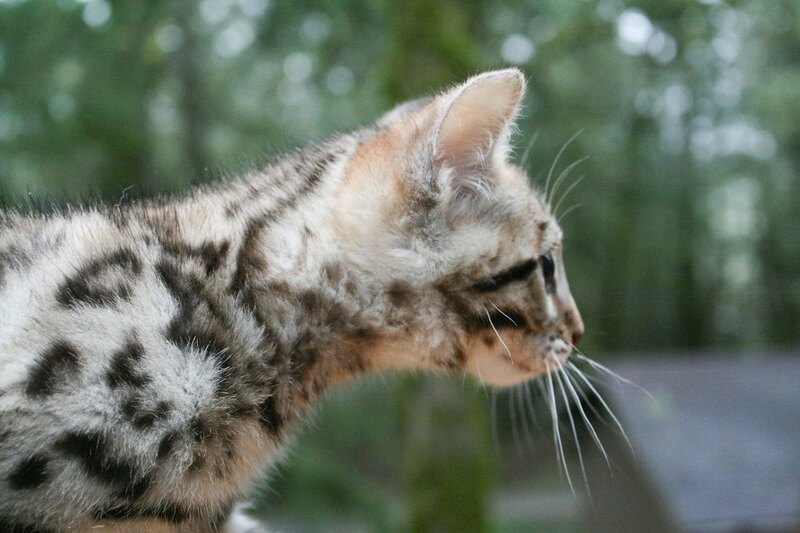 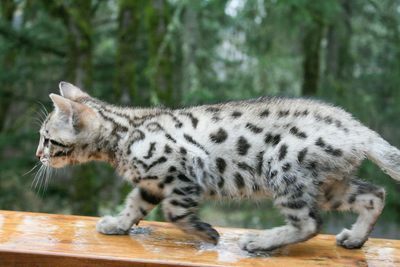 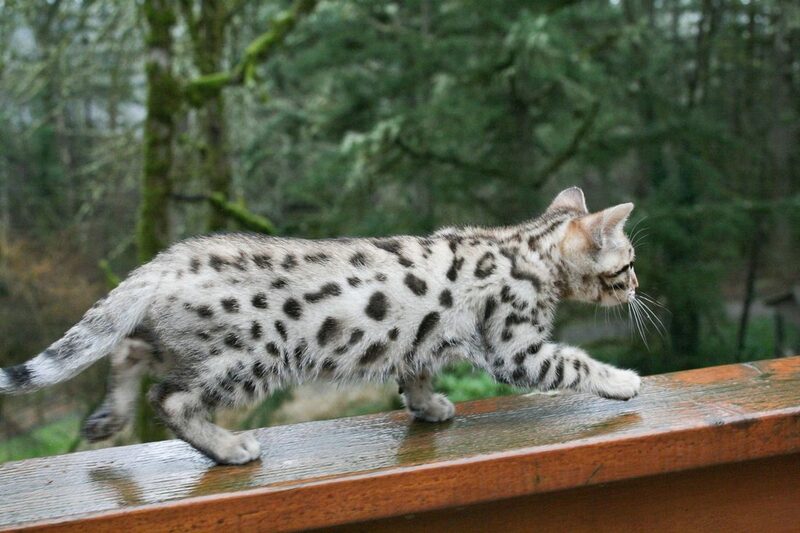 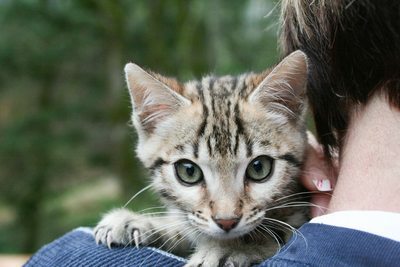 Charybdis Ace Tiberius - Northwest Bengal Cats Beautiful, friendly Bengal Cats and kittens for sale in the Pacific Northwest of Oregon. 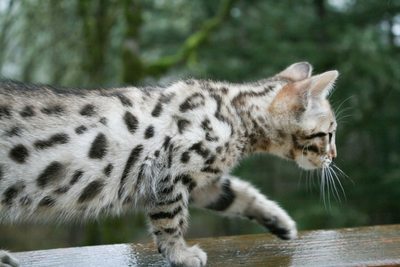 Ace looks a lot different now that he's an adult, darker with a somewhat ticked coat, but still with that beautiful diagonal flow to his spotted pattern. He is the son of Charybdis Ahsoka and Raindancers Irish Creme and carries some the best characteristics of each parent. 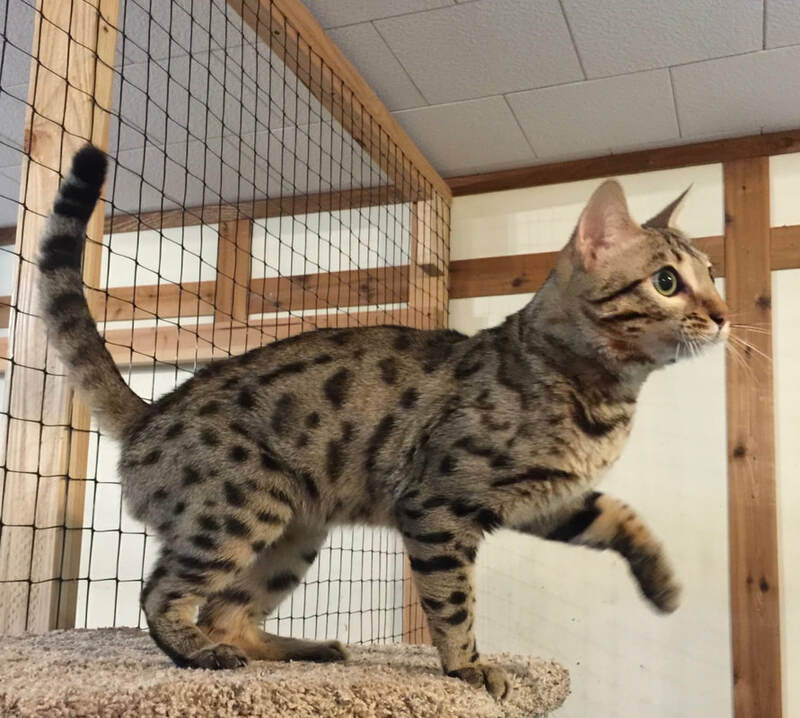 He carries a wonderful marble pattern from Ahsoka, super loving personality from both parents and although he is brown, he carries Seal Sepia as a recessive color. Oct-22-17 Update: Ace and Cali have 3 beautiful boys available as gorgeous and adorable pets. 2 brown spotted males and 1 Seal Mink marble male. Please submit a contact form for additional information.